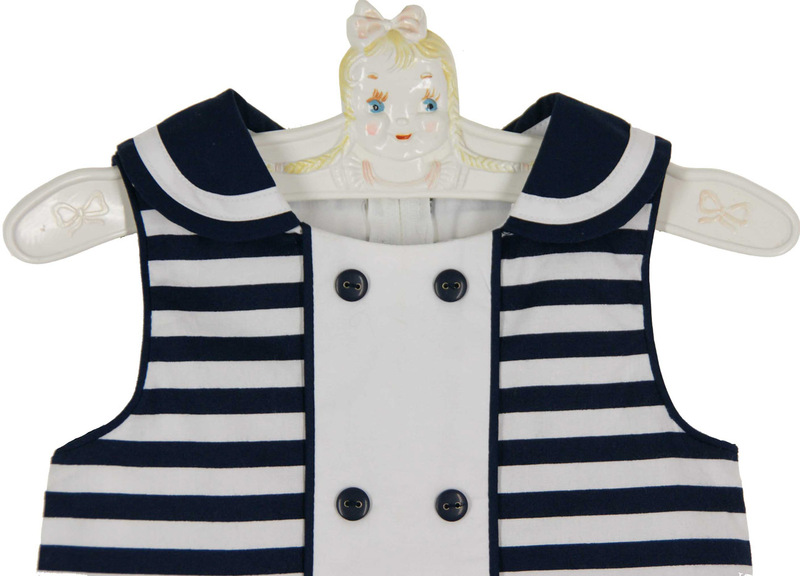 What a darling sailor dress for your baby girl! 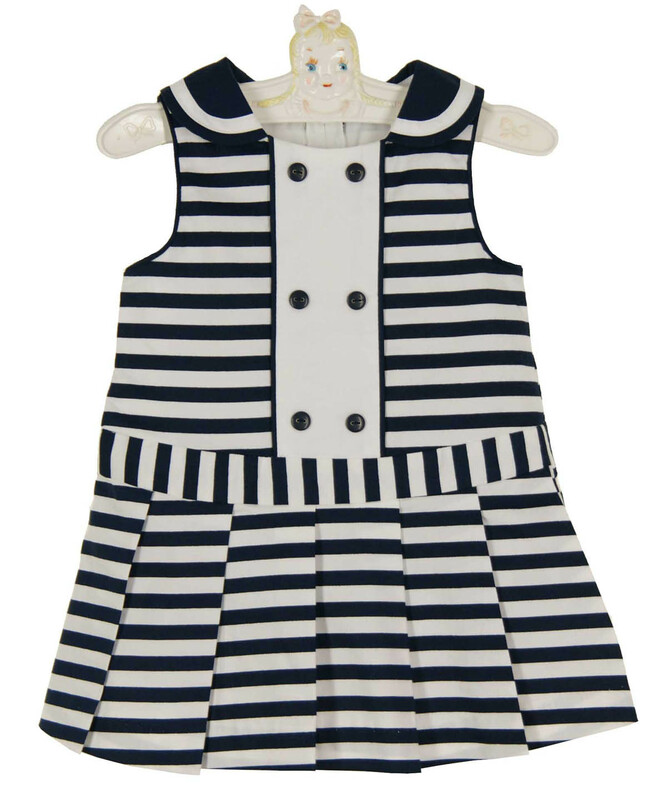 Made by Rare Editions, this sweet dark navy striped sleeveless cotton sailor dress features a center white vertical stripe with navy button detail, a dropped waist, and a pleated skirt. 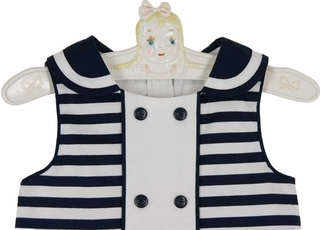 The navy collar is trimmed with white. 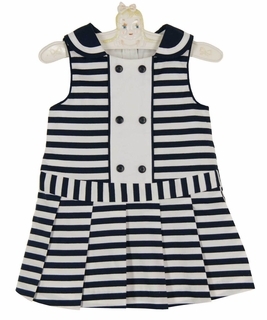 The dress has a back zipper closure. 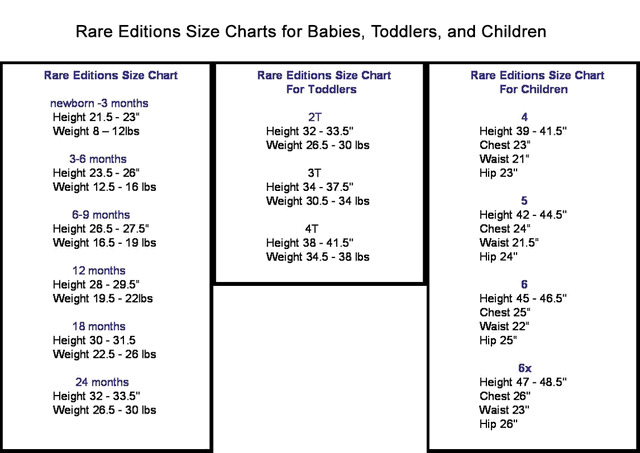 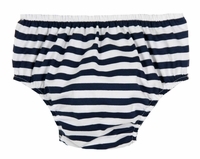 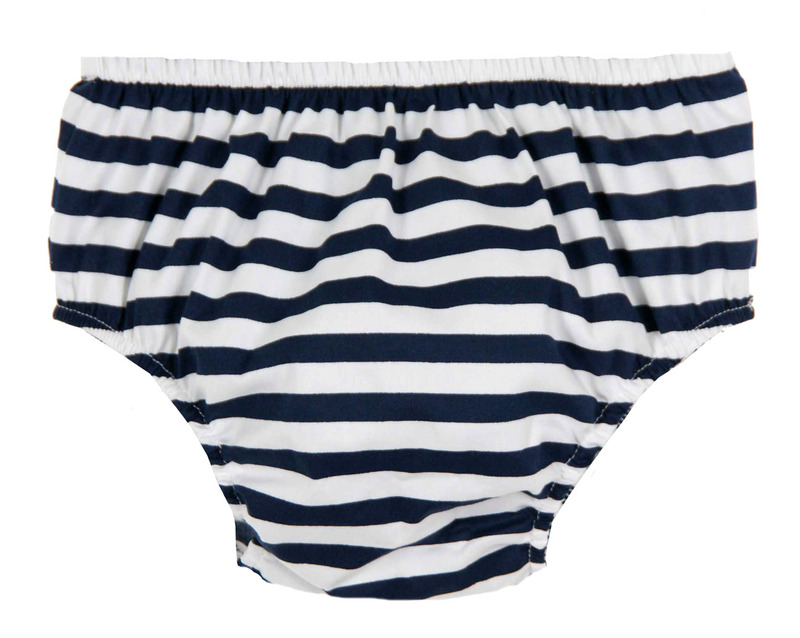 It even includes a navy striped diaper cover!